We’re back, with a brand new edition of Flawless Flashback Friday! 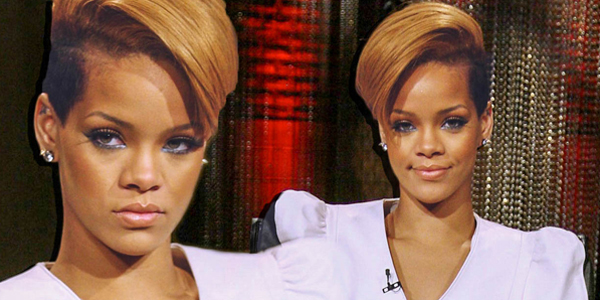 On November 26, 2009 Rihanna did an interview for Fuse to promote and talk about her fourth studio album ‘Rated R’. She talked about making the album, how far she goes for music she loves and her evolution as an artist. You can watch the full interview below. This look is easily one of Rihanna’s best and also one of our personal favorites. Her effortless slay in a full-on leather outfit with exaggerated shoulders just proves how any type of color of Leather suits her perfectly, and her hair made her look even bettter. We’re also hoping Shortanna makes a comeback soon!